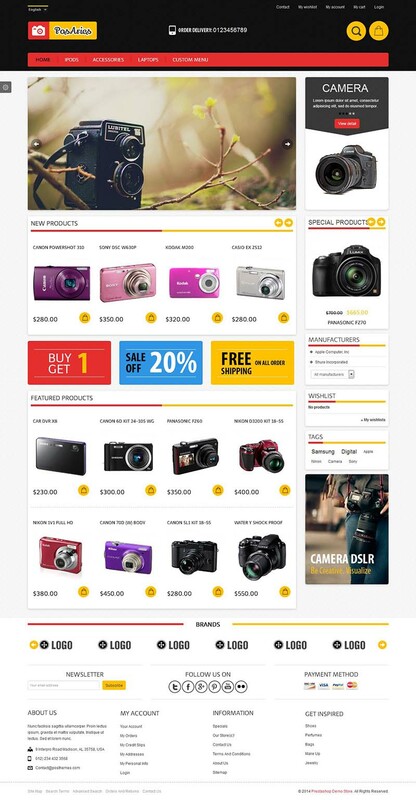 Aries is a responsive PrestaShop theme suitable for digital equipments and accessories. It has a neat design, modern and high fashion layout with powerful theme options panel. The products blocks are neatly arranged in the product sliders . So you can displays a variety of products with different topics (including new products, featured products, onsale products, etc.). This theme includes many useful features including variety of available colors, image slideshow gallery, ajax cart, custommenu with many multiple columns styles, etc.